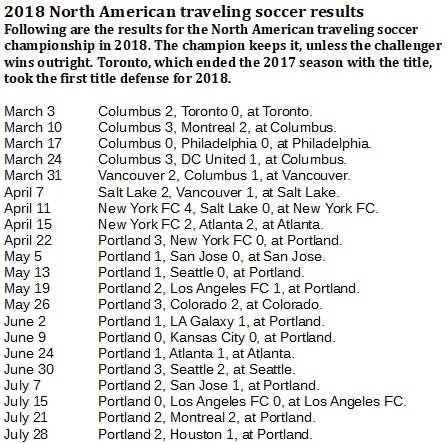 The Portland Timbers put together the longest championship streak in the three-year history of the North American traveling soccer title, a 14-game effort that started in April and ended in August. 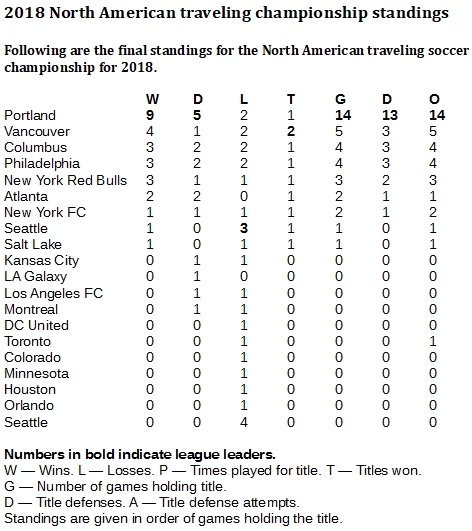 Like seven other clubs, the Portland Timbers won one championship in the pro soccer traveling title competition across North America in 2018. Like no other team, though, the Timbers made their title count. The Timbers assembled a title run that spanned five months, a 14-game stretch that began with a 3-0 home win against New York FC on April 22 and lasted until the Vancouver Whitecaps beat them, 2-1, in Portland on Aug. 11. The Timbers set a new record for longest title streak at 14 games, beating a run of 13 for the New York Red Bulls in 2016, the first year of the traveling competition. Included in this defense for Portland were five draws. 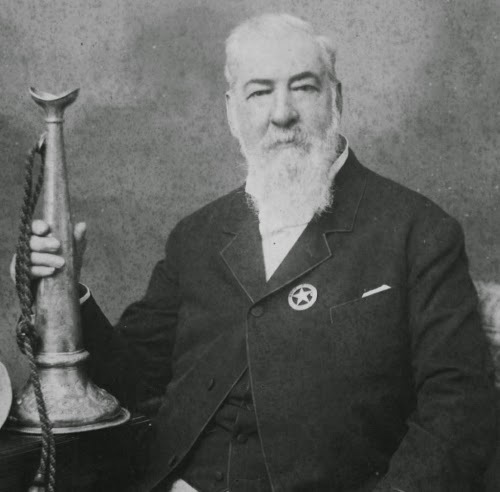 Vancouver produced the most titles with two. However, the Whitecaps didn't defend either title for more than three games.